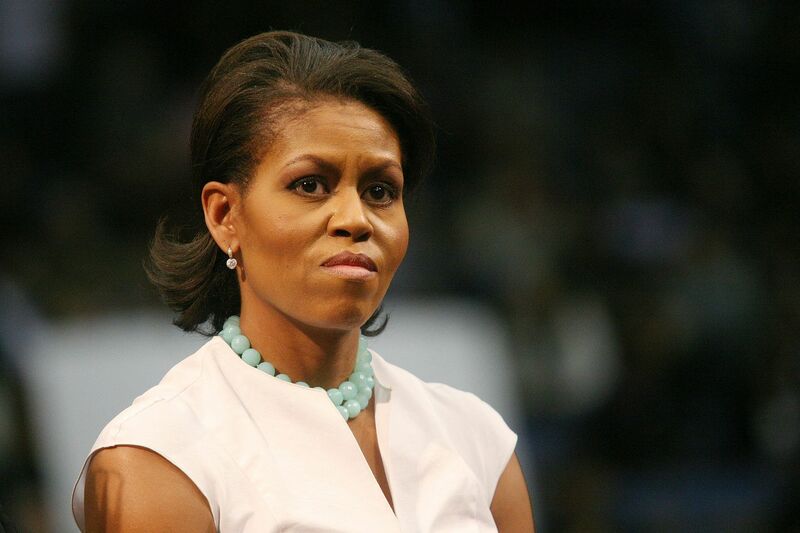 Again, former First Lady Michelle Obama is baffled that women didn't vote for Hillary. In comments during this weekend's United State of the Women Summit – a gathering of left-leaning feminists and activist in Los Angeles – Obama clings to the misguided belief that there's something wrong with women who did not vote for Hillary Clinton. "In light of this last election, I'm concerned about us, as women, and what we think about ourselves and about each other." "What is going on in our heads where we let that happen. So I do wonder what are young girls dreaming about, if we're still there?" "When the most qualified person running was a woman and look what we did instead, I mean, that says something about where we are, if we as women are still suspicious of one another, if we still have this crazy, crazy bar that we don't have for men ... if we're not comfortable with the notion that a woman could be our president, compared to what?" Like Hillary Clinton's "What Happened" tour, feminists and left-leaning women are still grasping for an explanation to the 2016 election cycle. Here's one explanation: women voted for someone who wasn't a Washington insider and would "shake things up" as Roseanne's character aptly explained. Here's another: women were tired of anemic economic growth and stubborn unemployment. Hillary Clinton would have continued Obama's economy, Obama's foreign policy, Obama's federal spending, and Obama's legacy of overregulation and overreach. Michelle Obama and others refuse to admit that the situation for millions of women are improved because pro-growth policies implemented under the Trump have yielded bigger paychecks, lower tax rates for small businesses, expansions of tax provisions that helping working families, tax reform bonuses and benefits, and accelerated job growth. "When I hear people say 'you run,' it's part of the problem. We still didn't get 'Yes, we can' right. It's not, 'Yes, you can,' it's 'Yes, we can.' And until we get that right, it doesn't matter who runs." "Looking for the next person to run ... that's been our distraction." Obama has it backward; women were thinking about issues like the economy, national security, and healthcare in the polls. For 52 percent of white women, 25 percent of Latino women, and 4 percent of black women, Hillary Clinton was wrong on the issues. Women's empowerment is not lining up in formation (Beyonce reference intended) behind the woman on the ballot. It is about ensuring that all women have the freedom and ability to support those who will fight for the issues they care about with the solutions they want to see.